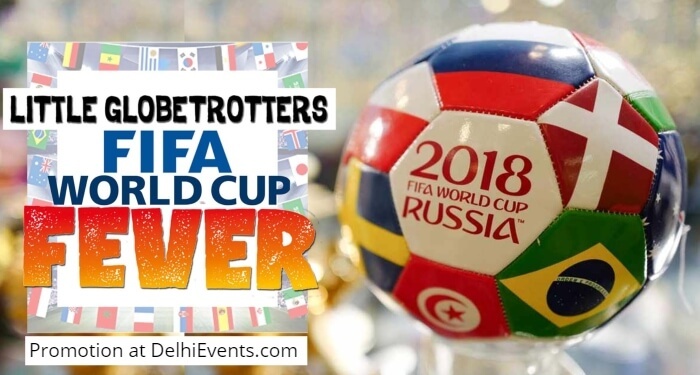 Event Description : KIDS WORKSHOP : Hands On presents "Little Globetrotters : FIFA World Cup Fever". GOOOAAAL! Everyone is caught in the FIFA World Cup fever. Let’s use the opportunity for kids to learn about the participating countries – from the traditional favourites Argentina to the upstarts Croatia. Children "travel" the world, exploring one country at a time, with audio visuals, maps, hands–on games and activities. Inspiring Little Globetrotters to become curious travellers!